William R. Miller, PhD, is Emeritus Distinguished Professor of Psychology and Psychiatry at the University of New Mexico. He introduced motivational interviewing in a 1983 article in the journal Behavioral Psychotherapy and in the first edition of Motivational Interviewing: Helping People Change, written with Stephen Rollnick, in 1991. Dr. Miller's research has focused particularly on the treatment and prevention of addictions, with broader implications for the psychology of change. He is a recipient of the international Jellinek Memorial Award, two career achievement awards from the American Psychological Association, and an Innovators in Combating Substance Abuse Award from the Robert Wood Johnson Foundation, among many other honors. The Institute for Scientific Information lists Dr. Miller as one of the world's most cited scientists. Stephen Rollnick, PhD, is Honorary Distinguished Professor at the Cochrane Institute of Primary Care and Public Health at Cardiff University, United Kingdom. A clinical psychologist with many years of experience and a codeveloper of MI, as well as a cofounder of the Motivational Interviewing Network of Trainers, Dr. Rollnick provides consultancy and training on the subjects of motivation, change, and MI. His research and guidelines for good practice have been widely published, and his work on implementation continues, with a current focus on children with HIV/AIDS in Africa, pregnant teens in deprived communities, and MI for teachers and sports coaches. 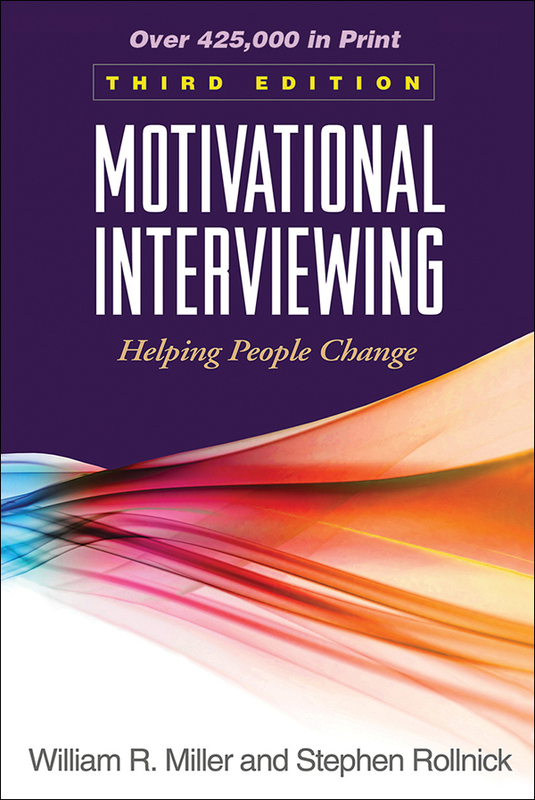 With William R. Miller, Dr. Rollnick is coauthor of the classic work Motivational Interviewing: Helping People Change, now in its third edition.